Does Your Landing Page Target Prospects but Forget Customers? Like many, I use Trello to keep track of all my projects. 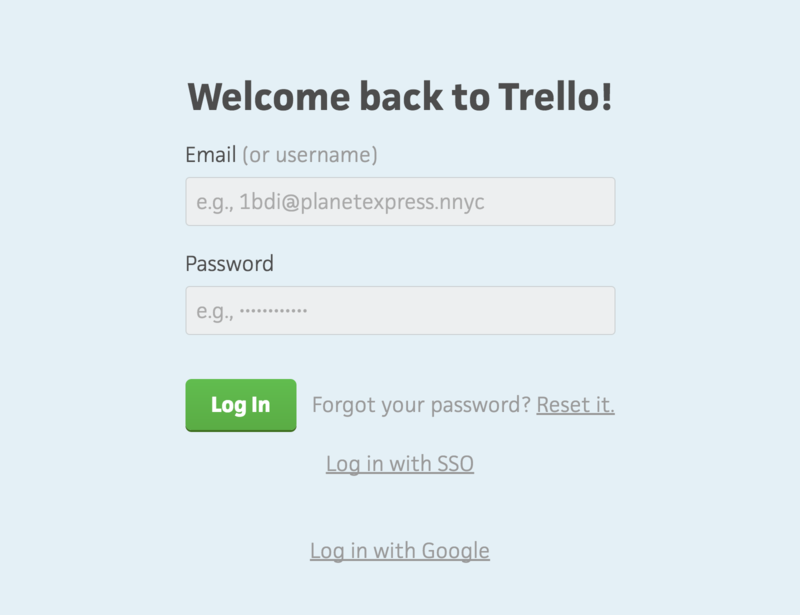 Recently, upon returning I noticed that the login form was prominently titled â€œWelcome back to Trello!â€�. They understood that I was already a customer, and personalized the landing page to make it easier for me to log in. How thoughtful! This got me thinking, how can SaaS businesses further personalize their landing pages for existing customers? So, Why Personalization Is Important? Most of us spend months refining our website content, trying to convert visitors into paying customers. This means that it’s easy to neglect the experience that our existing customers have. The login button is always hidden in favor of a signup form, and the headline is designed to sell us on the benefits of the product. But if Iâ€™m already a customer, I donâ€™t need to signup and you donâ€™t need to keep selling me. This is a missed opportunity. If you were designing a landing page aimed purely at existing customers â€“ not prospects â€“ what would it look like? I know, how can you tell whoâ€™s already a customer and who isnâ€™t? If Iâ€™ve already logged into my account, and then I revisit your website, itâ€™s highly likely that Iâ€™m already a customer and you should design the experience accordingly. Cookies can help us separate returning prospects from returning customers. I previously mentioned that it was Trello that gave me the idea for this article, so letâ€™s take a closer look at their design (related: Futurama fans, how amazing is the placeholder text â€œ1bdi@planetexpress.nnycâ€�?). Whatâ€™s most striking is the simplicity. Youâ€™re only presented with a login form and nothing else. Thereâ€™s no sales pitch, no navigation, and even no branding! All customers want to do is log in to their account, so letâ€™s make it as easy as possible for them to do just that. These are small details, but they all add up to create the best experience possible! Taking the Trello design further, aside from a login form, what other information can we highlight? This will be different for every SaaS business. It could be a blog post, company announcement, specific feedback on a new feature, or even some tips on how to use your product more efficiently. Whatâ€™s key is that we donâ€™t add too much information and keep it simple. Below are 3 ideas that can be applied to a wide range of SaaS businesses. 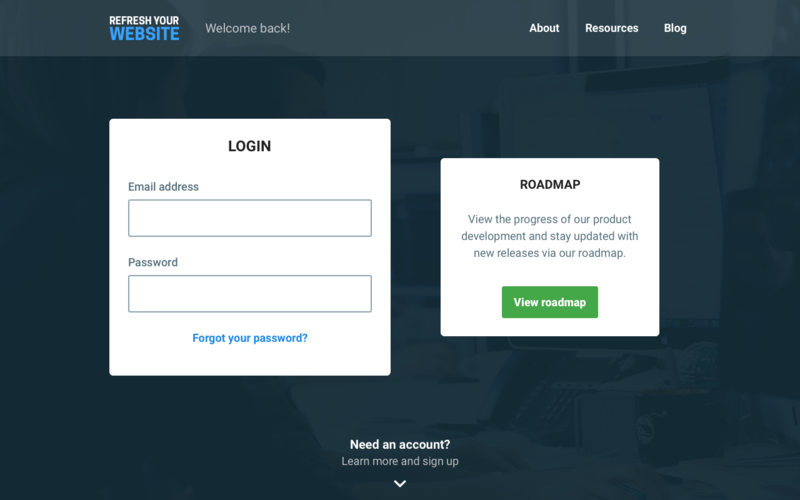 Sharing your roadmap is a great way to get input from customers and keep them up to date on new releases. You can also take it further by bringing them into the design process and encouraging commenting and voting on new features. As an perfect example, hereâ€™s Trelloâ€™s public roadmap. Do you have a referral program that rewards customers for signing up new members? Make them aware of this by displaying the details on your landing page. 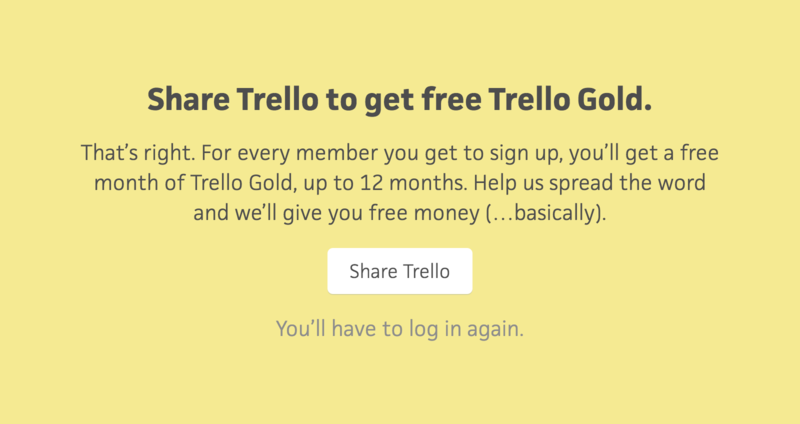 Trello does a great job of this when people log out, and they invite you to â€œShare Trello to get free Trello Goldâ€�. They will need to login to access their unique referral link, but youâ€™re taking a moment to highlight the rewards that are available for users helping to spread the word. Referred customers have a higher lifetime value, and 83% of satisfied customers are willing to refer products and services (source: Ambassador). Some of the most memorable websites Iâ€™ve visited are the ones that have personality. It could be photos of your last retreat, or maybe two of your team members just ran a marathon for charity. Either way, why not share these moments? Letâ€™s tie all of this together and design our own landing page. Remember to keep it simple and donâ€™t overwhelm people with too much detail. Aside from the login form Iâ€™ve only added 1 extra piece of information. Items such as â€œPricingâ€�, â€œLearn Moreâ€� and â€œSign upâ€� donâ€™t need to be shown. So Iâ€™ve simplified the header navigation to show only links that would be of relevance. When customers visit your website, all they want to do is log into their account. So itâ€™s important to make sure that the login form is the most prominent element on the page. If you take only one thing away from this article, this should be it. The area to the right of the login is used to highlight additional information thatâ€™s aimed at existing customers. I chose the product roadmap, but you should experiment with what information to show here. Again, it could be referrals, company announcements, or something completely unique to your SaaS business. If by chance the person viewing your personalized landing page isnâ€™t already a customer, you need a way for them to easily learn more about your SaaS business. The original website can be accessed by scrolling down, or by clicking on â€œNeed an account?â€�. Personalize your landing page for existing (paying) customers, as we too often neglect the experience they have. All customers want to do is log in to their account, so a login form that stands out should be your primary focus. Highlight additional information for customers, which will be different for every SaaS business. It could be a blog post, company announcement, specific feedback on a new feature, or even some tips on how to use your product more efficiently. How can you tell whoâ€™s already a customer and who isnâ€™t? If Iâ€™ve already logged into my account, and then I revisit your website, itâ€™s highly likely that Iâ€™m already a customer and you should design the experience accordingly.